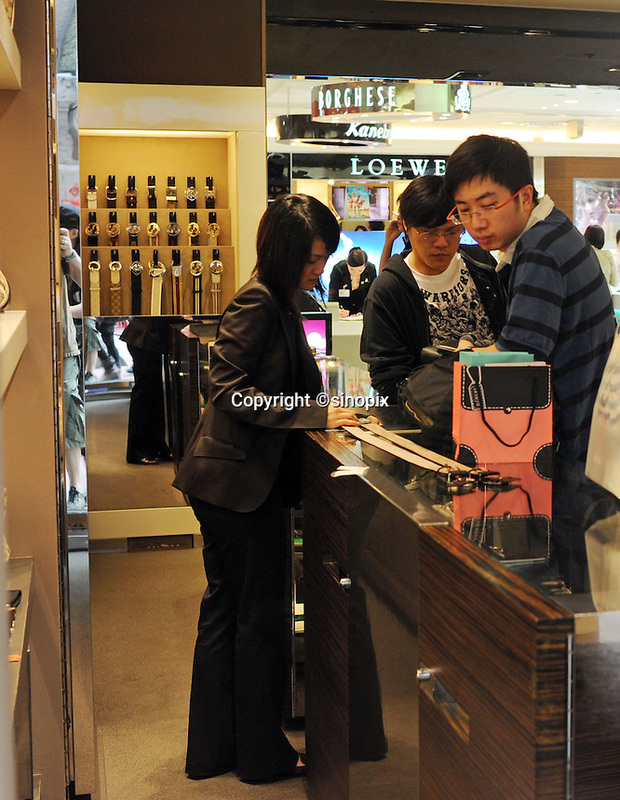 Mainland Chinese shop at a Gucci shop on Canton Road in Hong Kong. Outbound tourists from mainland China spent some $42 billion overseas (including Hong Kong, Macau and Taiwan) last year, outspending inbound international tourists for the first time. Hong Kong, is a leading destination for mainland tourists and is leading centre for luxury fashion brands carry the complete range of one of the world's top fashion brands products..